Snaps make fishing crankbaits easier, and there is little to no downside to it. Some people won’t agree with that statement, but after years of fishing all kinds of crankbaits and jerkbaits on them, I have developed a high degree of confidence using them. If you are undecided about it, I’d say you’re overthinking things. I’ve broken down the issue into pros and cons, as well as some recommendations for which snaps to use (I’ve tried almost all of them). Let’s dive right into why I think snaps for crankbaits are a great idea. Faster Lure Changes – Snaps and clips do make changing colors and sizes faster by not needing to re-tie your line. This is the most commonly cited reason, and while true, it’s not the most important reason I use snaps. 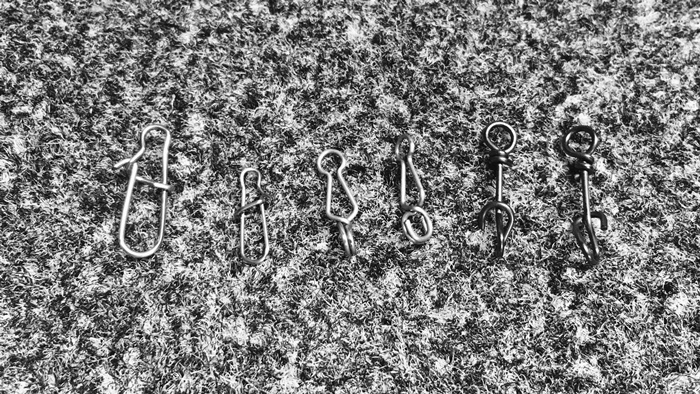 Easier Lure Changes – As we age, fingers become less nimble and eyesight gets worse, making knot tying onto a plug more difficult. Snaps can make re-tying a less frequent occurrence, and fishing hard baits more enjoyable. Moves the Knot Away from the Split Ring – Look closely at a split ring. The place where you are supposed to tie your line is right in between a pinch point in the wires. The knot is going to move around and rub up against the split ring and is another opportunity to break your line. 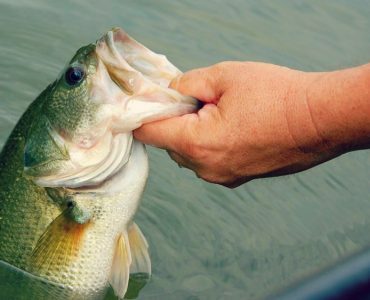 Moves the Line Away from the Bill – Now run your finger along the bill of a used crankbait. It is probably rough like sandpaper from being ground against cover all day. Think about what that can do to your line! Possibility of Coming Unbuttoned (or Failing) – Some anglers say a snap is “just one more thing to fail”. There are four things to address this concern. Use a proper cranking rod with a parabolic bend, a cranking reel with good drag, spool it with a good abrasion resistant fluorocarbon, and use only high-quality snaps. I’ve caught so many hard pulling 5-7 lb bass with snaps that I don’t even think about it anymore. Doesn’t Reduce Number of Re-Ties – Wait, didn’t I just say above that snaps reduce the number of re-ties during the day? It can, but depends on conditions. If I’m cranking rocks, roadbeds, or shell beds even with abrasion resistant fluorocarbon, the line is going to get roughed up. I’ll re-tie after a big fish, and check the last foot of line frequently if I’m getting hung up a lot. Potential for Reduced Action – Some fishing magazines have said clips attached to split rings reduce or alter the action of crankbaits. By alter, I mean make the bait run left or right more than without the snap. I suppose that could be true, but you should be tuning your bait if that is happening. Catches on Grass – The snap is on the leading edge of the crankbait, so it is possible the snap can grab onto the grass. If the vegetation is mucky and slimy, this definitely is true. More often than not, however, the treble hooks will get the grass more often than the snap. Owner All Purpose Snap – The Owner size 1 and 2 are is my go-to crankbait snap. They are easy enough for cold fingers to undo, have a good sized loop for tying fluorocarbon onto, and are made of a quality stainless steel wire. Norman Speed Clips – Speed Clips are my favorite snaps for jerkbaits and popper/plopper type topwater baits. They only come in one size (about the equivalent of a #1 Owner) and are small enough to not affect the action of suspending and topwater baits. The only issue is you need to have good fingers to get them on and off, and wet fingers make it even more tricky. Mustad KVD Fastach Clip – Similar to Speed Clips, but you don’t have to squeeze the wire to get it open. Instead, you take the eye or split ring and use a corkscrew motion to attach the clip. 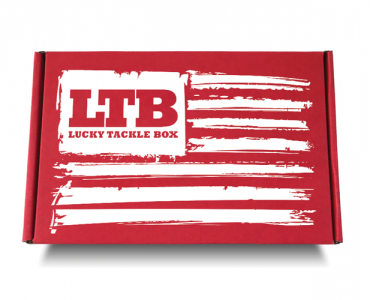 It actually works pretty well and is a good choice for anglers with hand and finger stiffness. Get the size 1 for small cranks and 2 for medium divers and up. P-Line Crosslock Snap – The crosslock snap is similar to the OWner, but the clasp closes over the top of the snap instead of underneath. This snap is OK, I just prefer the way the Owner wire comes inside the outer wire to clasp shut, the crosslock seems to have the occasional accidental unbuttoning. Should You Remove Split Rings with Snaps? First, many eyes on crankbaits are extremely difficult to reach with the snap opening, and others are recessed into the bill making it impossible to clip the snap to the bait’s line tie. 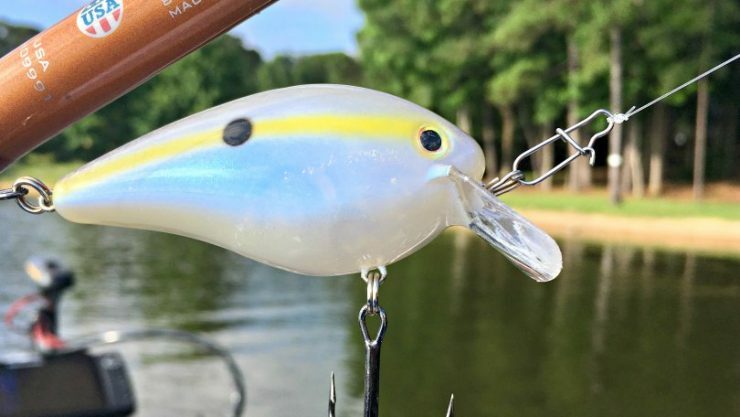 Second, removing the split ring doesn’t add any more or less action to a crankbait. Jerkbaits are a different story because they are supposed to You’d have to have thousands of hours of use with different crankbaits to even begin to feel the difference. For most angles, it just doesn’t matter. Finally, removing the split ring moves your line closer to potential contact with the bill of the bait. I want to reduce any chance of unnecessary line abrasion as much as I can. Snaps – Just Do It! In closing, I think it’s a great idea to try snaps on your crankbaits. I have fished them for years now, catching dozens of 5 to 7+ pound bass on them, and never had a failure that wasn’t my fault for not retying my line. Don’t overthink it, just get a pack of size 1 and 2 Owner All Purpose Snaps, clip it right to the split ring and go fishing! Check out the VMC crankbait snap. Has a large loop for great action. Thanks Frank, I will check that one out. Just bought some of these. Really looking forward to putting them to the test. I use snaps religiously on my crankbait rods and have for well over 10 years. Love em. My choices have been Eagle Claw or BPS version. I prefer the latter due to costs and easier on my fingers. They aren’t as stiff as the Eagle Claw. I swapped a couple out. I recently attended a seminar by Crankbait legend, David Fritts. He recommended to remove the split rings. He felt it was too many connections to the lure. Gonna give it a try on a couple of them before I remove any more. Great article. Do you prefer snaps to snap swivels? Is line twist a problem, using snaps only? 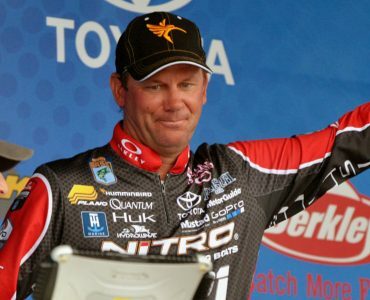 Do you use a leader at all with crankbaits? Line twist has not been an issue with crankbaits, except maybe if you are trolling. I don’t use leaders, but then again I might if I fished lakes with Pike or Muskie! Have you tried Spro snaps at all? I really like their tackle! Thanks! I’ve tried the SPRO Split Snaps but didn’t care for them. 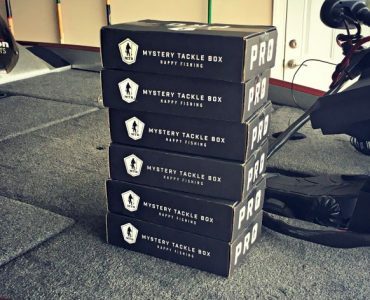 I found it difficult to open them and get the crankbait attached.